Eliminates premature track wear due to misalignment of tracks resulting in friction and damage to the guide blocks. 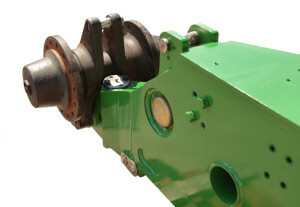 The purchasing of replacement drive tracks are a major expense and our idler adjuster will save the end user a considerable amount of money and increase the length of time the machinery is in operation. Our prototype has been installed and proven successful in the testing phase. 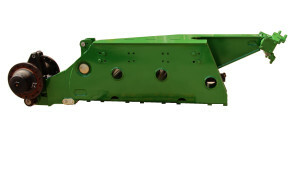 The modification has the potential to be distributed worldwide in kit form allowing the farmer or local boilermaker to attach it to the tractor onsite. An installation kit including templates, drawings and instructions will be supplied with each kit. 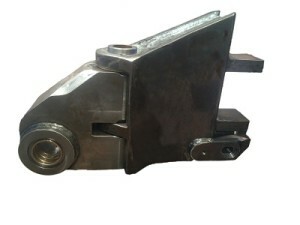 There is also the option for the track frames to be sent into our local facility in Mackay for the modification to be completed by our skilled tradesmen and returned to you ready to be re-installed into your machinery.